Ysolde de Bouchier is a woman beset with trials. The dragon part of her buried deep for centuries is still making itself known, but in ways that just don’t make sense. She’s continuing to have visions, but now they involve events she wasn’t present to witness. As if that isn’t enough, she’s caught up in a tangled web of plans that seem to grow more complex each day. Not only does she have to work out peace between her Light Dragon mate Baltic and the weyr, she also has to free his friend, convince an archimage to lift the spell controlling her magic, figure out what it is that the First Dragon expects her to do, rescue a half-dragon damsel in over her head, and once and for all clear Baltic’s name of murder charges that continue to plague him. Blinking at the sudden sound of a male voice, I turned to see who was speaking, at the same time taking in the noxious smells that wafted around me. I appeared to be in some sort of a dark, rough alleyway that staggered between two rows of tall, narrow houses, the overhangs of which blocked out any streams of sunlight that might try to make it down to the ground. Not that there was any sun to be seen now, since it was nighttime, but I was willing to bet that even on the hottest day of the year, the alley would remain dank and unwelcoming. A crude wooden door next to me bore an almost illegible plaque informing unwary visitors that one Master Bertram would mix pigments for a small fee. The woman’s voice called my attention back from where I was trying to avoid stepping on any of the refuse that clogged the close alley. Skirting the urine barrel, I took a few steps toward the dark figures that stood almost invisible in the deep shadows cast by the buildings, faint light from a couple of sputtering torches the only means of illumination. The distant sound of voices raised in song reached my ears as in front of me, two figures approached each other. “Why have you summoned me to Rothenburg?” the man demanded to know in an arrogant, yet somehow familiar voice. I took a couple of steps closer until I could see the face of the speaker, dimly lit by a torch that leaned drunkenly from a nearby iron sconce. The woman’s jaw tightened. The two guys behind Constantine closed in, although they kept a respectable distance from him. What the hell? Was Constantine insane, or was I? Sometimes it was hard to know the truth, since my memory of the last five hundred years had been more or less wiped out. But some of that had returned since I found Baltic two months past, and I don’t remember a thing about this little bombshell. The woman looked stunned for a few seconds, blinking rapidly as she digested this information. I knew exactly how she felt—if what Constantine said was true, when had it happened? And why on earth hadn’t Baltic or someone told me about it? Alexei? That name rang a bell in the dim recesses of my memory. He was the wyvern before Baltic. Which meant that the time this vision was presenting must also be before Baltic was wyvern…but that couldn’t be. Her words came out with the velocity of a bullet. I stepped back, not wanting to get within range of eye contact with her. Something wasn’t right. How could I be having a vision of this time? I shook my head at the thought. I couldn’t. It just wasn’t possible. “Yet more threats. How I will live in fear,” Constantine answered with obvious amusement. “Hello? Can anyone hear me?” I waved my hand in front of the woman’s face, but both she and Constantine obviously didn’t register my presence, which made sense seeing as I hadn’t been alive at this time. But why was I seeing this moment in the past? And who on earth was this woman that she felt comfortable speaking in such a threatening manner to a powerful dragon? A little corona of blue-white light crackled around her at Constantine’s words. I frowned at it, trying to remember where I’d seen something similar, shaking my head when my brain refused to cooperate. “The day will come when you will regret those words,” she warned. The woman reached right through me to slap Constantine. Both of us jumped. I stared at her with stark surprise, examining her face. Lady Antonia. She had to be Antonia von Endres, the famous archimage, and once Baltic’s lover. “All right, I’m willing to admit that I’m lost,” I told the pair. “The only other visions I’ve had have been memories of my past that the dragon inside me used to try to get me to remember who I am. I’ve never once seen one where I wasn’t there in person. But assuming this is a really pathetic attempt to incite jealousy, I have to tell you guys that it’s failed. I’m not jealous of Baltic’s relationships before he met me. Not in the least. They don’t matter at all. Not even the fact that you would give him your infamous light sword just because he was so incredible between the sheets matters to me.” A little belch of fire erupted around Antonia’s feet. I pretended I didn’t see it. Without another word, Antonia—not seeing the fire any more than she had seen me—executed a one-eighty turn and marched off into the darkness, her two bully boys following with only brief smoldering glances at Constantine as they passed him. He ignored me, just as I assumed he would, instead rubbing his face as he muttered something rude under his breath before turning to walk away in the opposite direction. “I guess you are going to take that. Well.” I looked around the unkempt area, stared for a minute at the nearest shuttered windows of the tall, narrow houses, and made a frustrated gesture. A dog barked in the distance. A rat sat on the edge of the urine barrel and considered me. A duck wandered past, quacking softly to itself. “Now what the hell am I supposed to do?” I asked no one in particular. My voice echoed against the building, growing louder and louder until it seemed to fill my head with pounding, nonstop noise. “Stop!” I yelled, my hands over my ears as I doubled up in pain. “The black dragons. The one that Kostya runs now,” Brom said, nodding. “Exactly.” I wondered briefly how Baltic ended up back in the sept, and with enough standing to take control when the previous wyvern left, but figured that was something speculation wasn’t going to answer. “They have problems expressing their emotions, and you have to read between the lines,” Brom parroted from a previous discussion. “By kissing him.” The look on his face was priceless. “If you want to visit May and Gabriel, yes, you should. Hello, handsome.” The last sentence was addressed to the dark-eyed, dark-haired man who stopped in front of me, his hands on his hips as he frowned down the long length of his torso to where I sat. I bit back a little snort of laughter. When the dragons had exiled us from the weyr and declared war, I had worried for Brom’s safety, but was assured by all that while the dragons took their wars very seriously, they did not extend warlike acts to children. That Gabriel allowed May to invite Brom for a weekend stay at their house in London—so he could visit the mummies at the British Museum—was, I felt sure, a sign that the determination of the weyr to remain at war with Baltic and me was waning. Baltic interpreted it differently, feeling it was Gabriel’s intention to undermine his relationship with Brom. It took three weeks of negotiation between Gabriel and Baltic before he agreed to the event, and then only after making some fairly obnoxious statements to Gabriel about what he would do should Gabriel not take care of Brom in a manner that Baltic felt reasonable. Brom looked thoughtful for a moment, slid me a quick glance, then leaned forward and hugged Baltic. The latter looked so surprised that I did laugh, although I covered it up with a little cough. Brom wasn’t at all a mercenary sort of child, but he did have eclectic—and very expensive—tastes, and despite the fact that he received a generous allowance, his eyes lit up with hope. “Your mother has spoken,” Baltic told him, then pulled out a money clip. Brom cheered and raced off. I put my hands on my hips and glared. “You did not wish for me to give him cash. A credit card is not cash,” he pointed out, blithely ignoring the obvious. “I know what it’s like to not have money,” Baltic said with a half-shrug. “All right, but it’s your turn next time.” I bit his lip gently, my fingers working free the leather thong that held back his shoulder-length brown hair, concentrating as I did so on rousing the dragon that lived deep within my psyche. I had yet to master the skill that came so natural to all dragons—harnessing their fire—but Baltic insisted that I practice it every day in hopes that one day, I would return to being the dragon I once was. I focused on the moment, allowing the scent of him to sink into me. 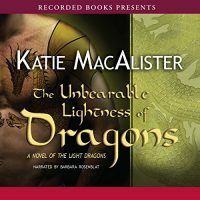 The feel of his body moving restlessly against mine did much to stir the embers, but it wasn’t until he took charge of the kiss, possessing my mouth in a way that left my toenails steaming, that I felt able to pull on my dragon fire. Baltic gently bit my neck, knowing how much I loved that, and sure enough, the dragon fire rose within me until it erupted from me in a belch of flame, splatting against Baltic’s chest, and dissipating immediately. 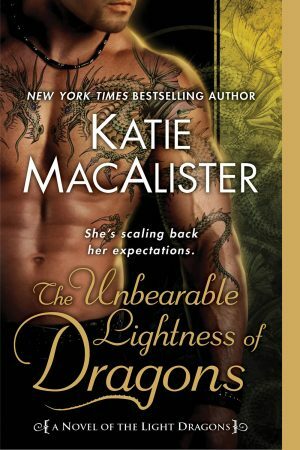 “There’s going to be a dragon inside you, of that I promise,” he answered, flames licking up my body as he leaned forward, about to kiss me again. “Phone for you, Ysolde,” a voice interrupted us. “One moment please. Baltic has to vent his spleen, and I’ve found if I don’t let him do it, he gets more unreasonable than usual,” I told her before she could answer my questions. “I am not unreasonable. I am never unreasonable, as can be seen by the fact that I am allowing my son to leave my protection. Must I remind you that you agreed, when you begged me to permit Brom’s visit, you would have no other interaction with the silver sept?” Baltic asked, frowning fiercely. A little pang spiked into my heart. Even though I didn’t remember anything about my past as a dragon other than what the visions had showed me, the moment when both Gabriel and Kostya formally severed my ties with their respective septs was painfully strong in my memory. He looked for a minute like he was going to argue the point, but a quick glance at my forehead had him muttering under his breath instead as he turn and stomped off, Pavel following in his wake. If anyone else had been so nosy, I would have had a thing or two to say to them, but Kaawa had tried for the last few months to help me discover why the dragon I used to be was buried so deep inside me that it only manifested itself with visions of my past. “That is significant, but not such that it should affect my dreaming,” she said slowly. “Tell me,” she urged, and I sat back down on the stone bench made warm by the sun and leaned back against the side of the house, the drone of bees as they bustled about a nearby hydrangea bush providing a lazy, sonorous background as I described what I had witnessed. I described once more the scene between Constantine and the female mage. “I have heard nothing about the event Constantine described,” she said thoughtfully. “There is no record of Baltic being expelled from his sept. And it is unheard of for the First Dragon to interfere with the weyr. I wonder if Constantine…” Her voice trailed off. “And you somehow let him down before, didn’t he say that?” Laughter was in her voice, taking the sting from the comment. “I wish I knew how I was supposed to do that,” I said, weary of constantly being in the dark concerning whatever task the First Dragon expected me to perform. “Gabriel knew something was amiss in the weyr. He could feel a disturbance,” she pointed out. “True.” I vaguely remembered May telling me something about that, although Gabriel had been hard put to believe that it really was Baltic who had returned to the land of the living. My words echoed hollowly off the empty hall as I took the stairs two at a time, leaving me with a sense of ill fated foreboding.